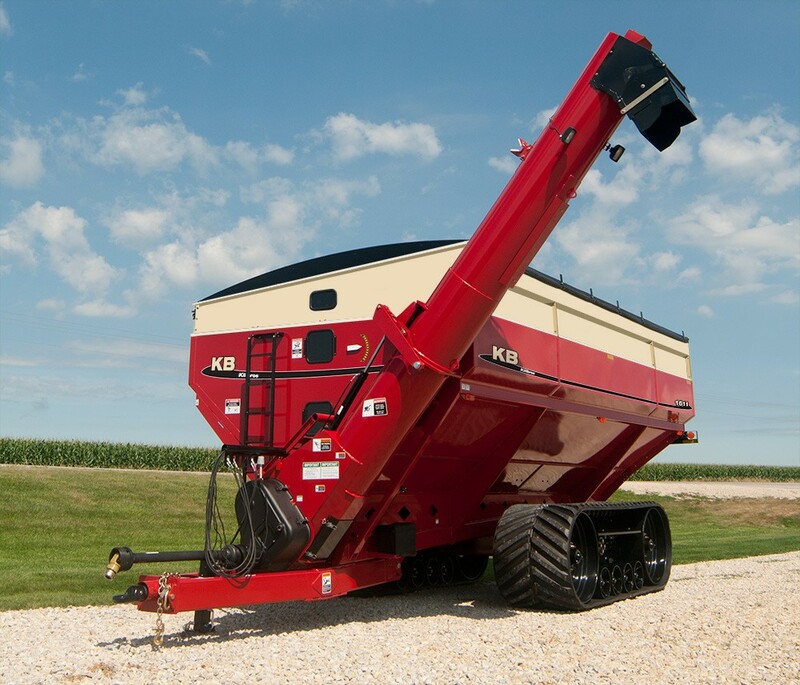 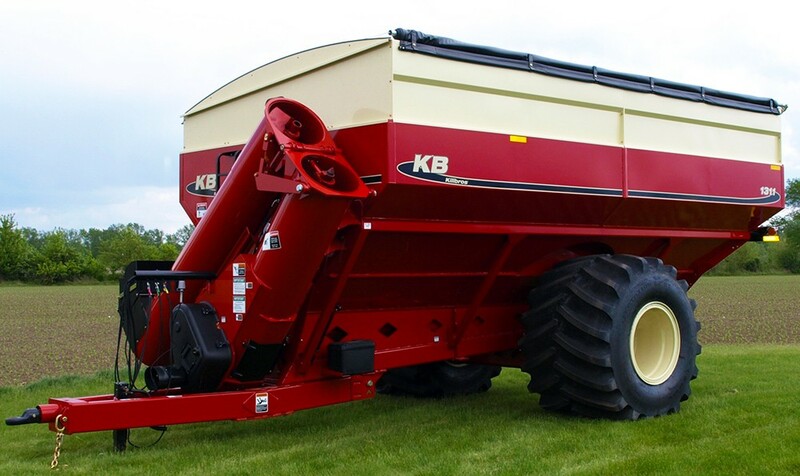 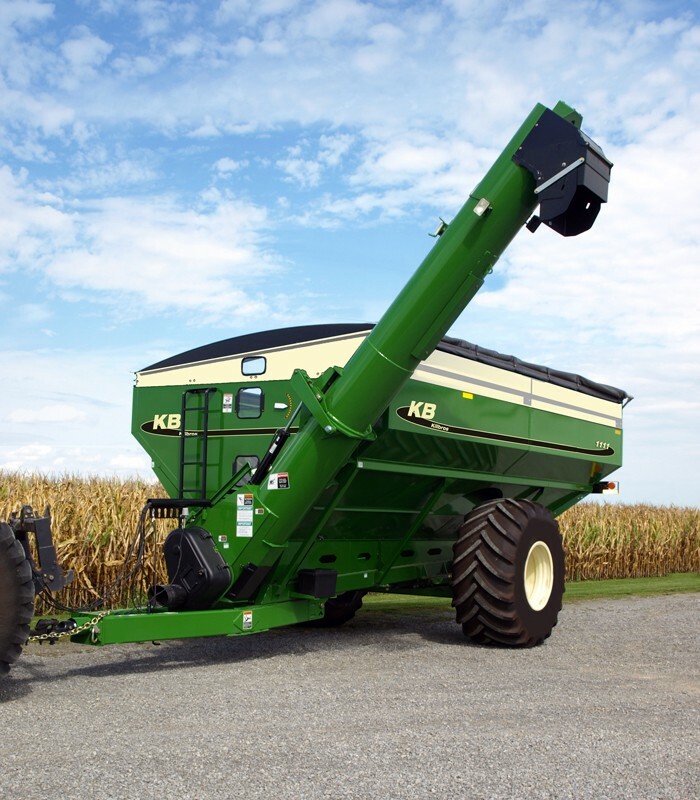 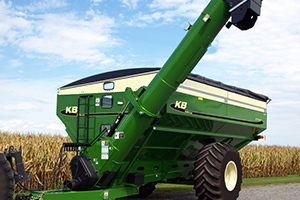 Introducing the time-saving and high-capacity Killbros models 1111, 1311 and 1611 dual-auger grain carts – the fastest unloading grain carts ever from Killbros! 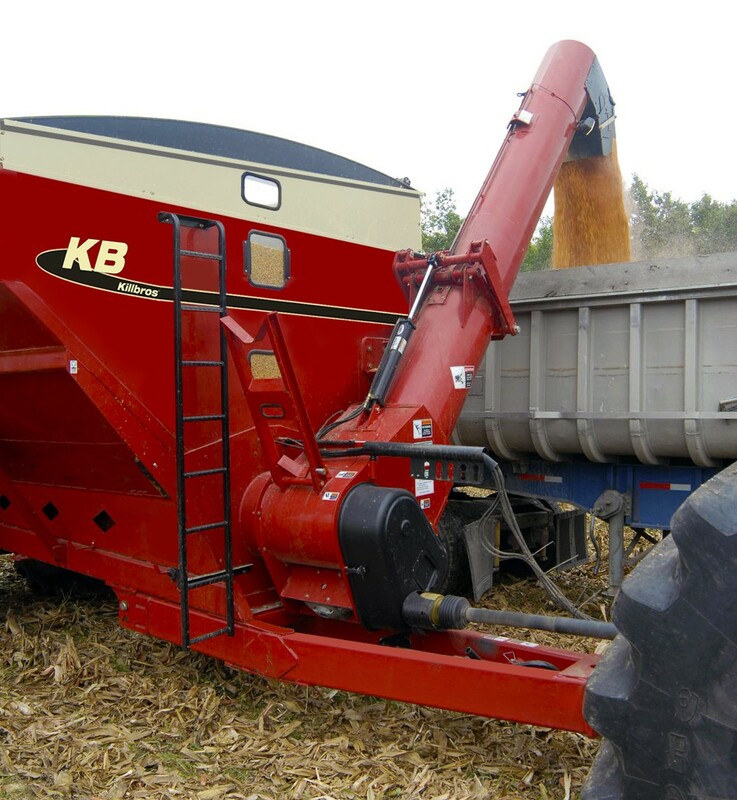 The 20" horizontal floor auger, heavy-duty direct-drive gearbox and 22" vertical unloading auger combine to deliver unloading speeds up to 800 bushels per minute! 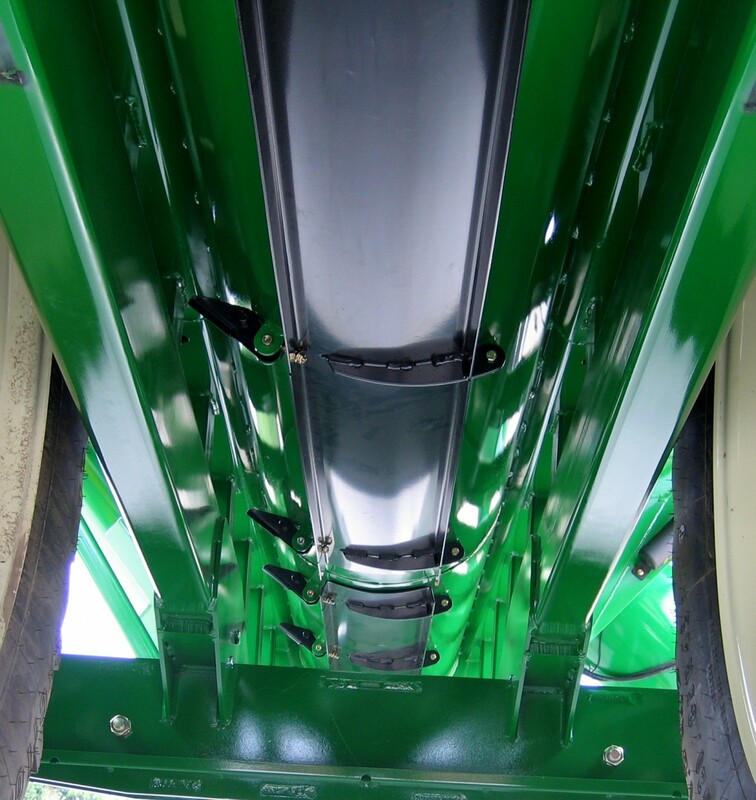 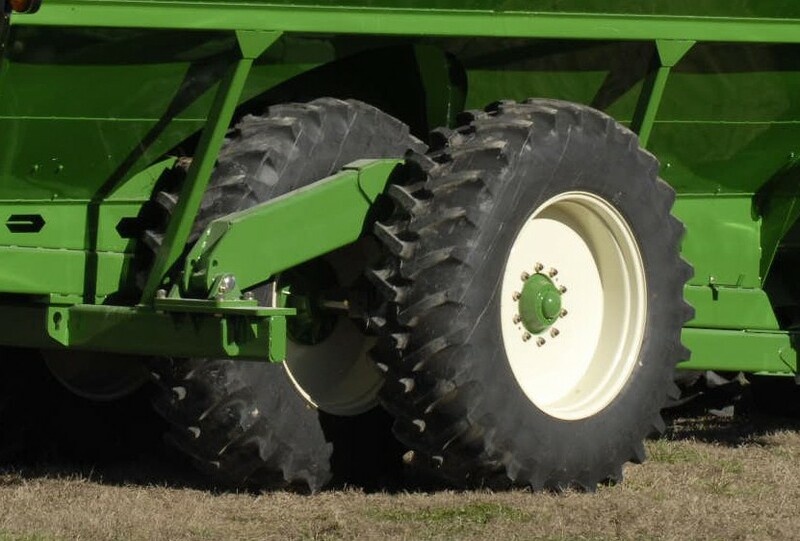 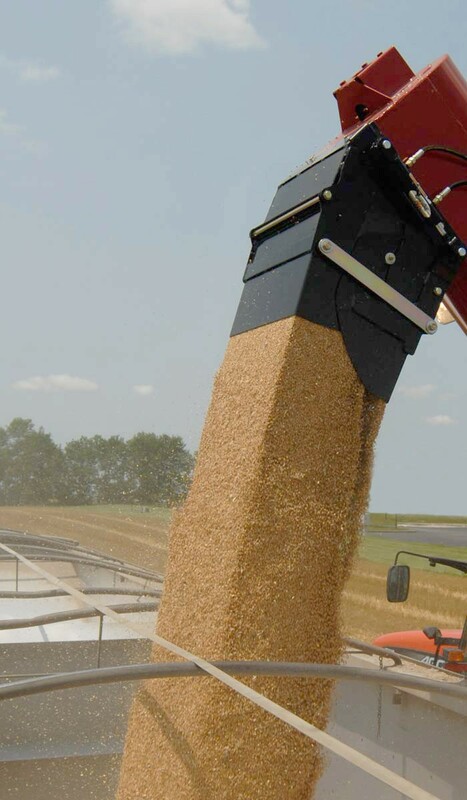 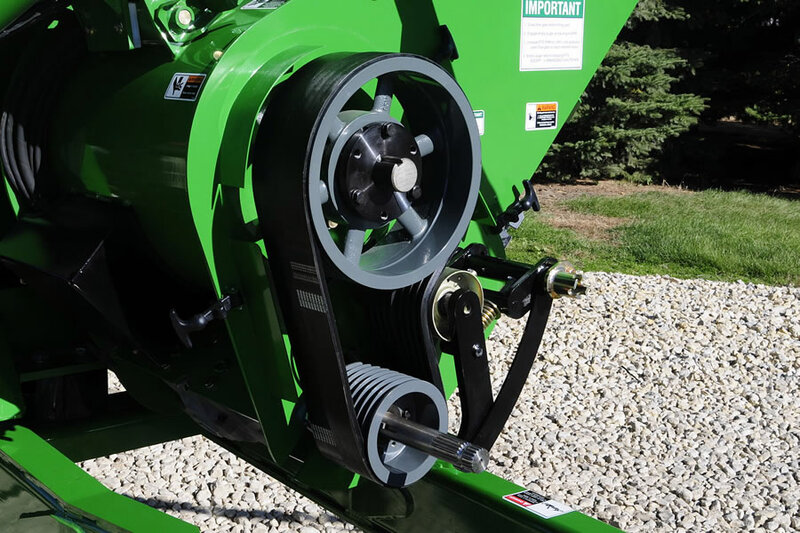 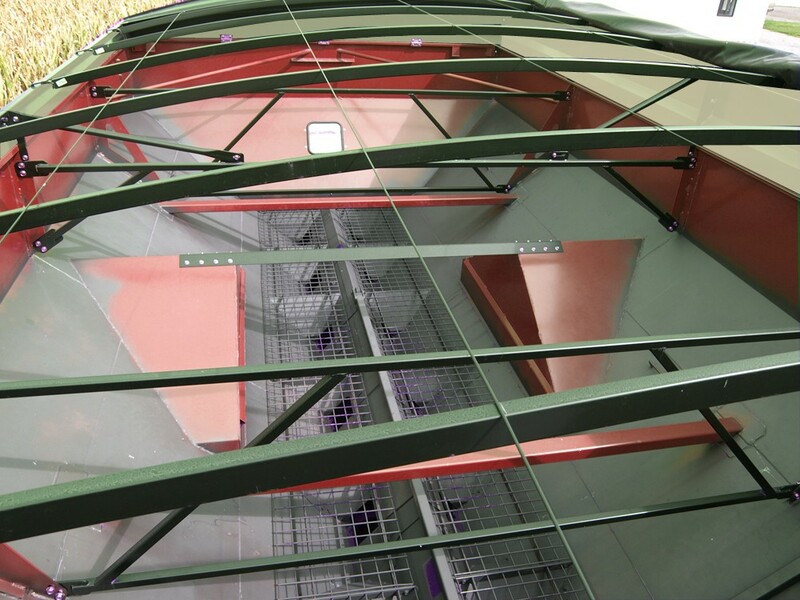 The 20" horizontal floor auger feeds the 22" vertical unloading auger for unloading speeds up to 800 bushels per minute! 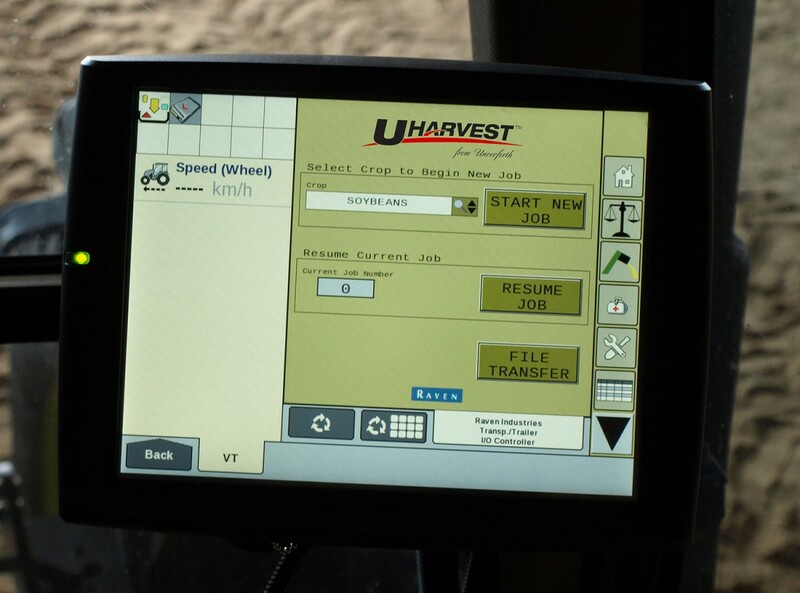 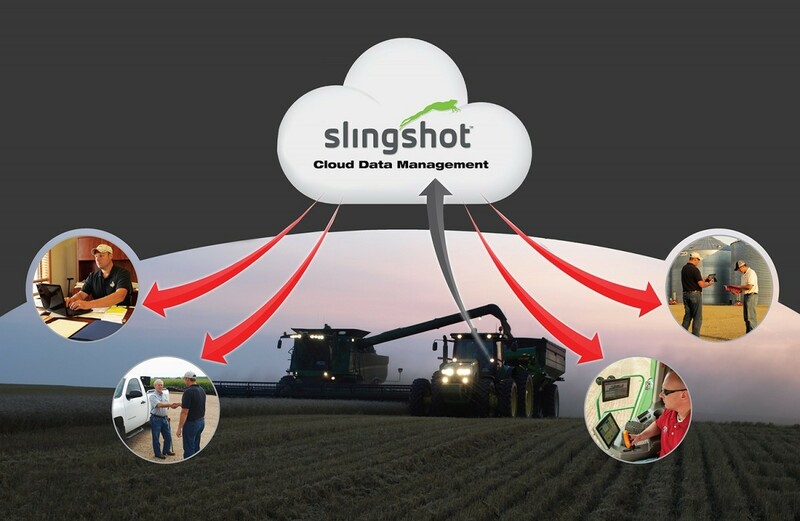 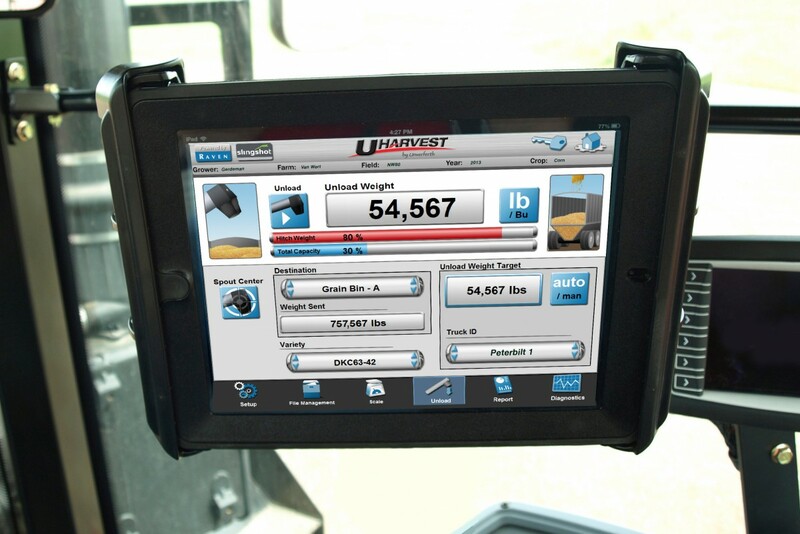 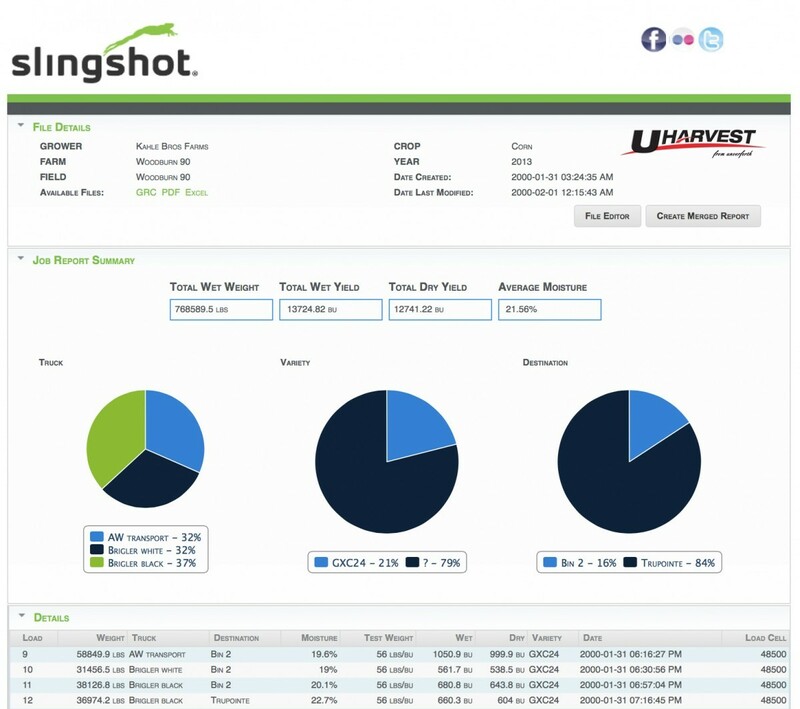 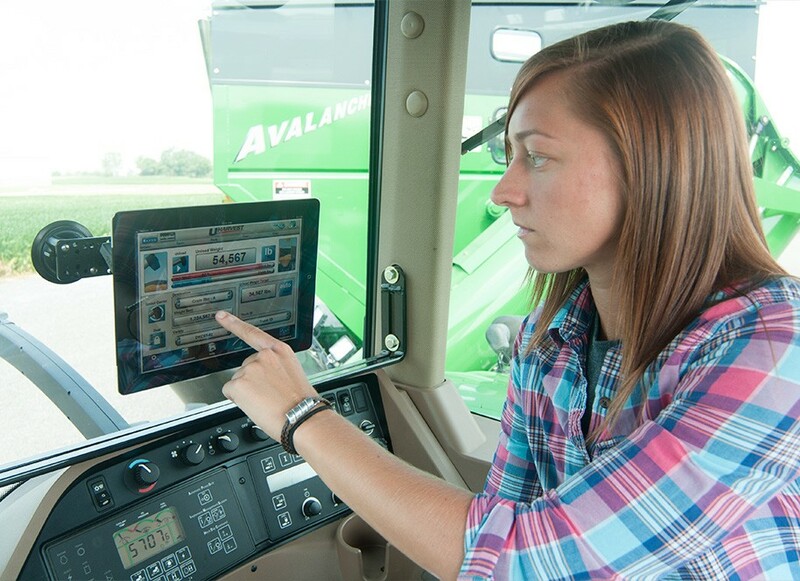 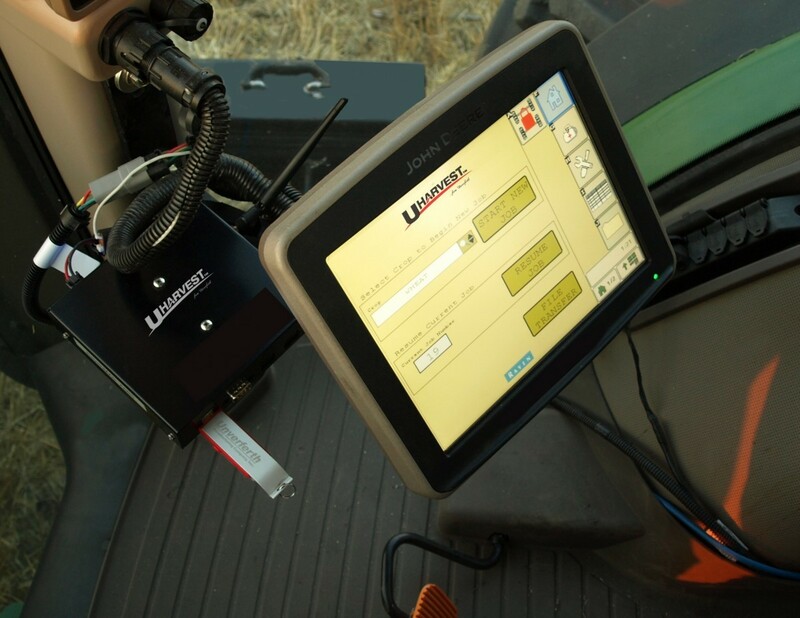 UHarvest Data Management - See UHarvest tab for details. 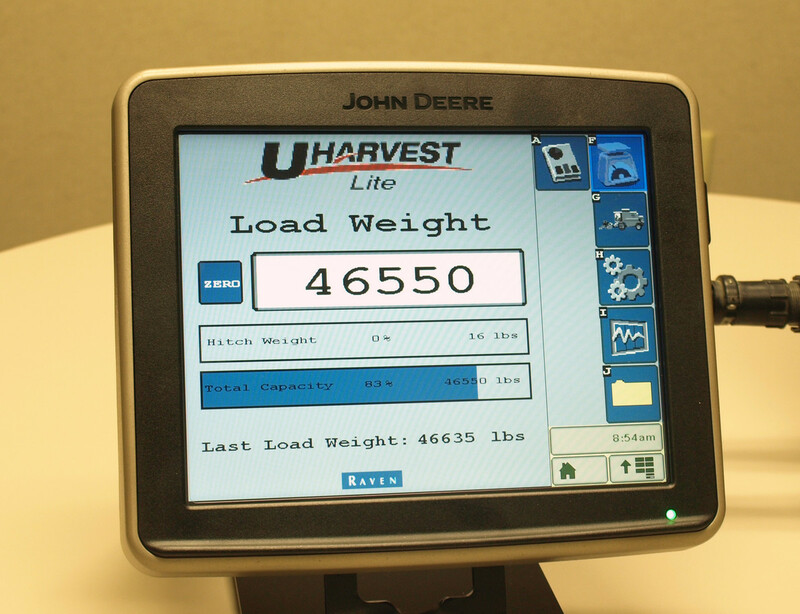 UHarvest Lite - See UHarvest tab for details. 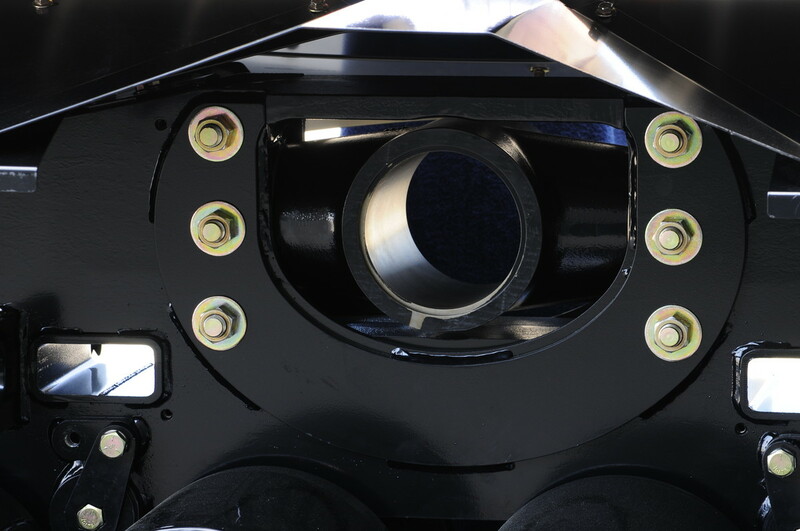 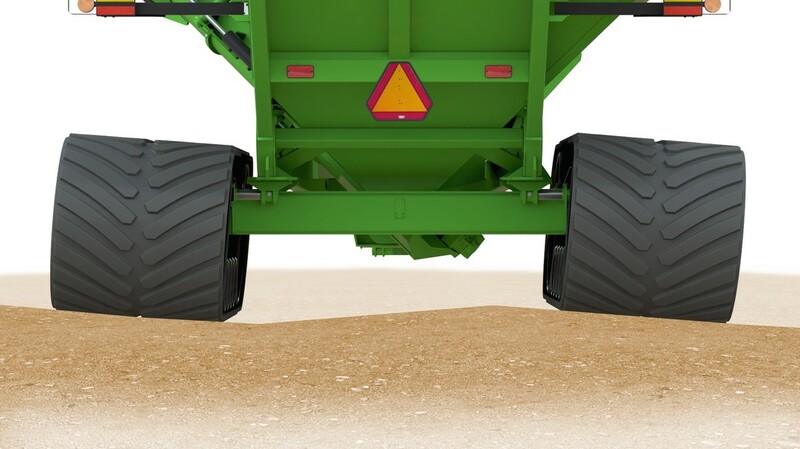 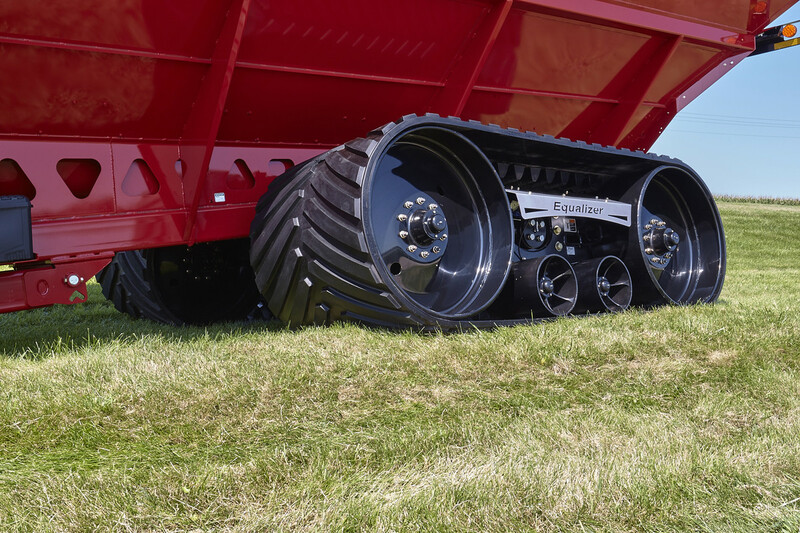 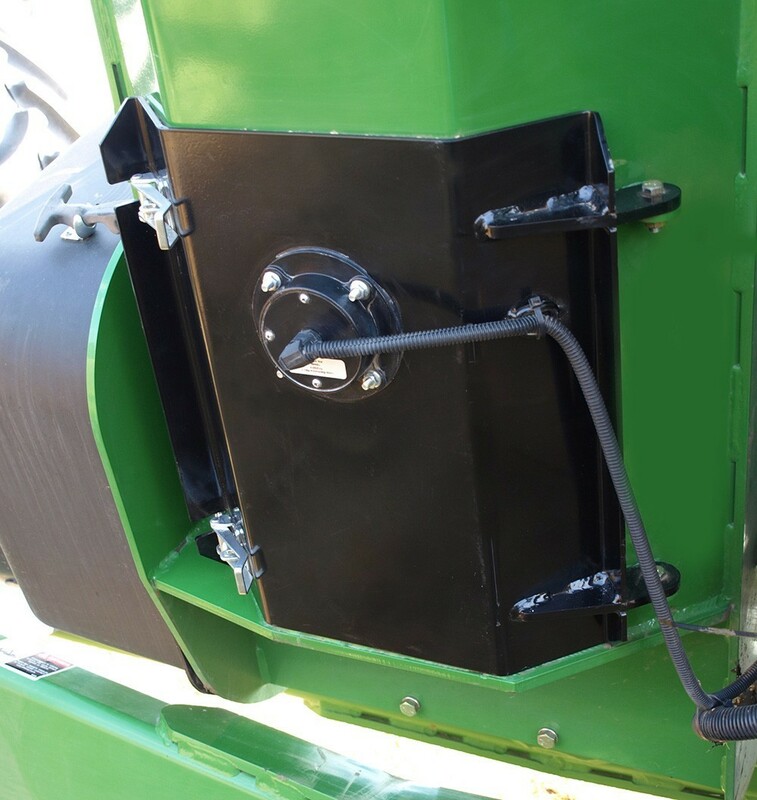 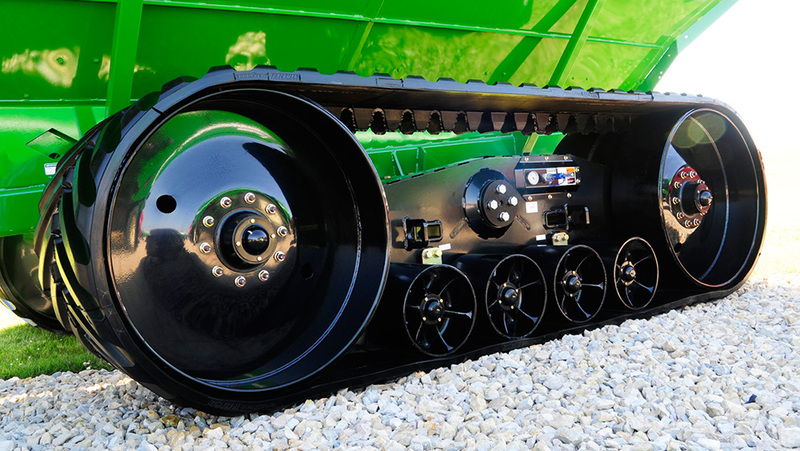 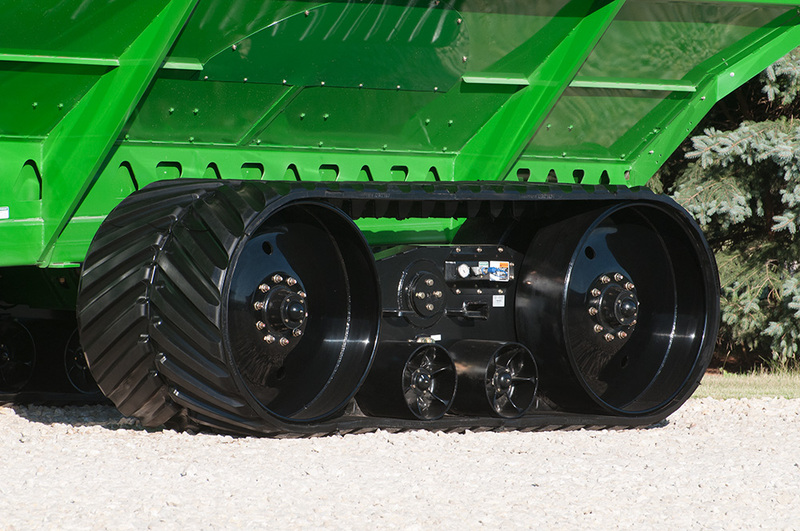 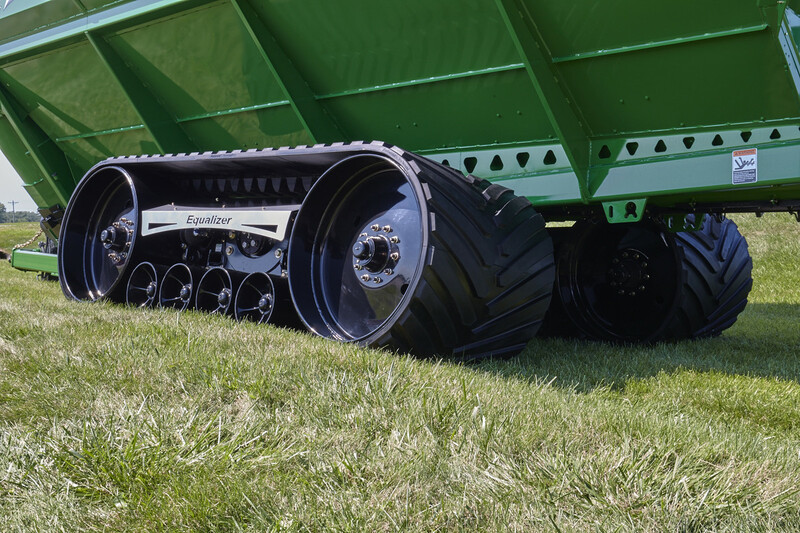 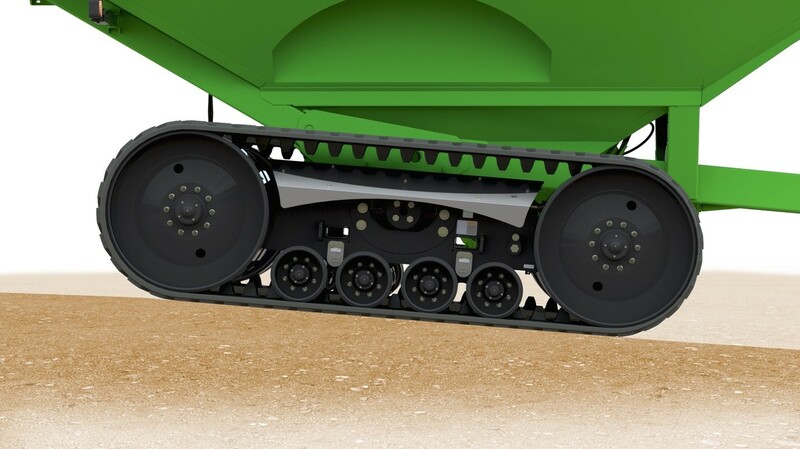 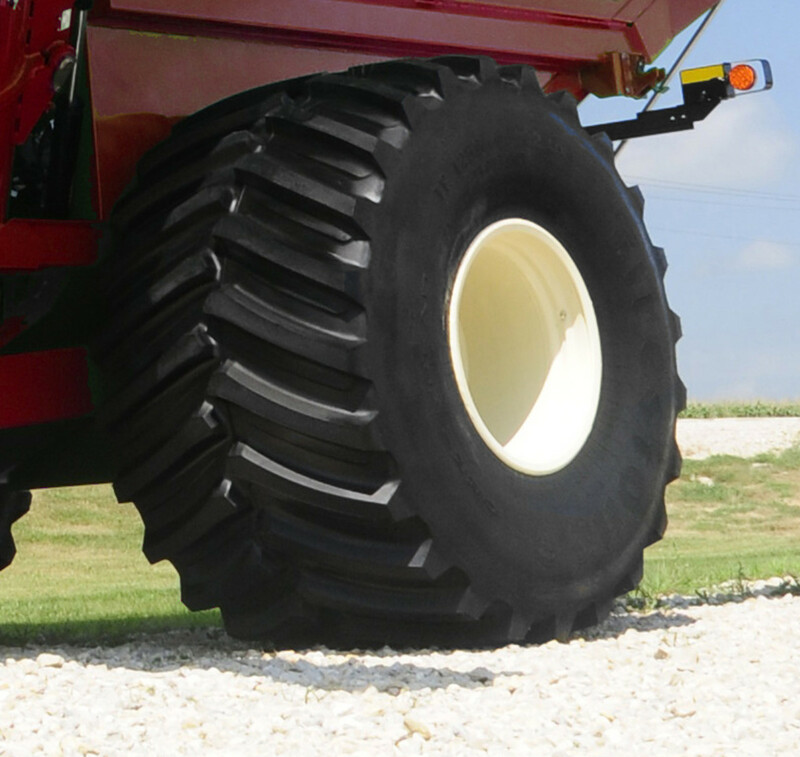 Auto-Greaser option for track undercarriages provides easy routine maintenance. 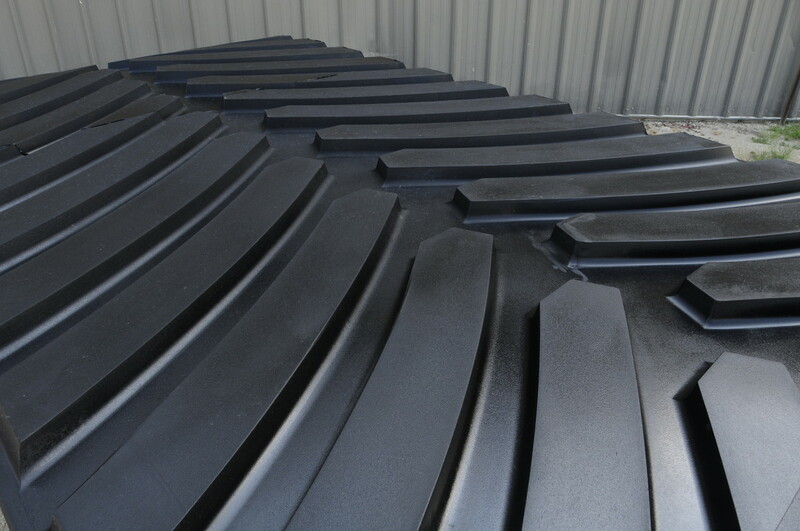 This system applies smaller amounts of grease more frequently to keep all the joints lubricated continuously for optimum performance. 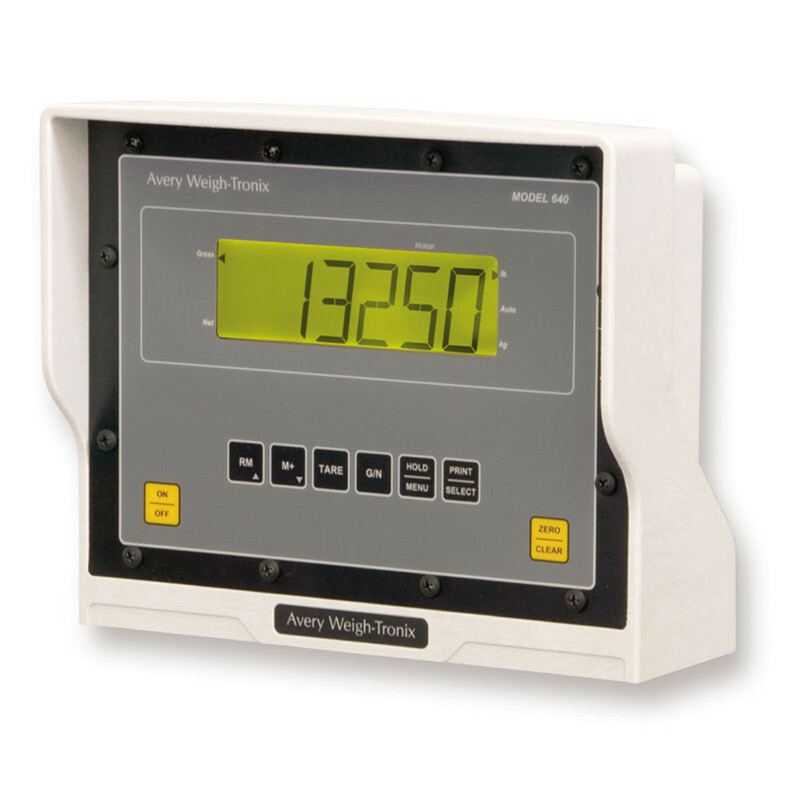 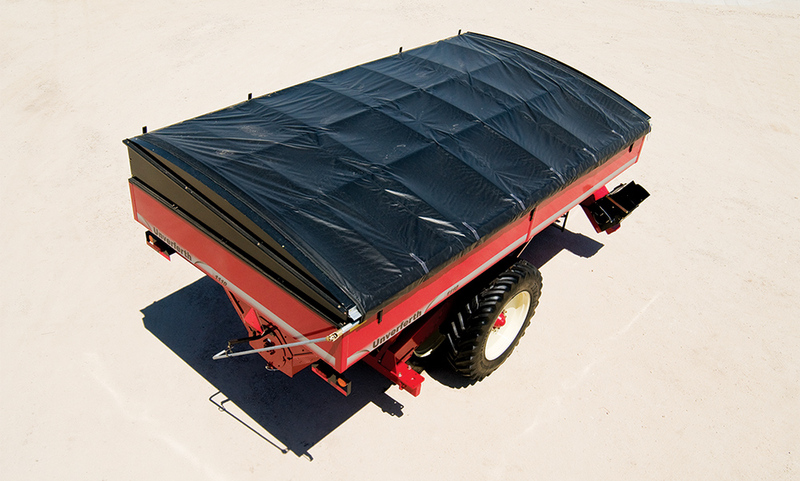 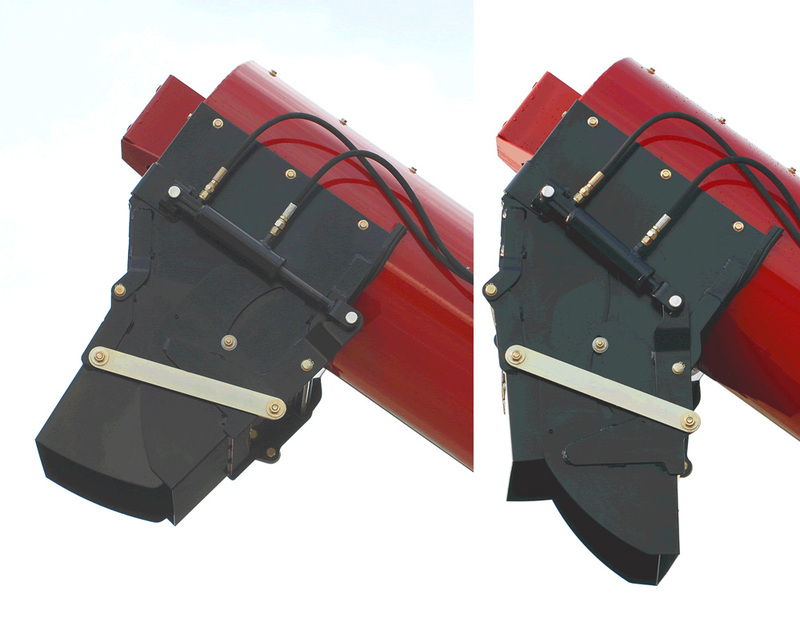 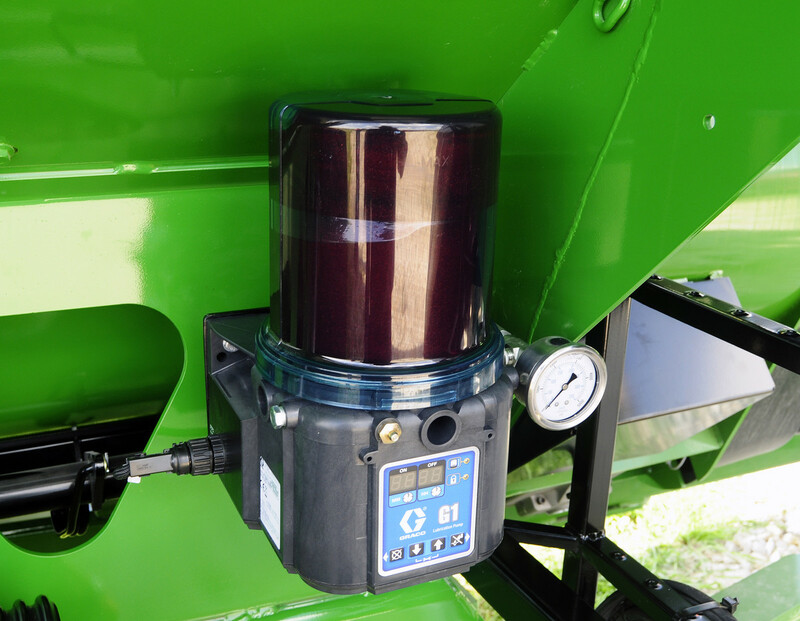 The 1/2-gallon resevoir provides up to 160 hours of operation. 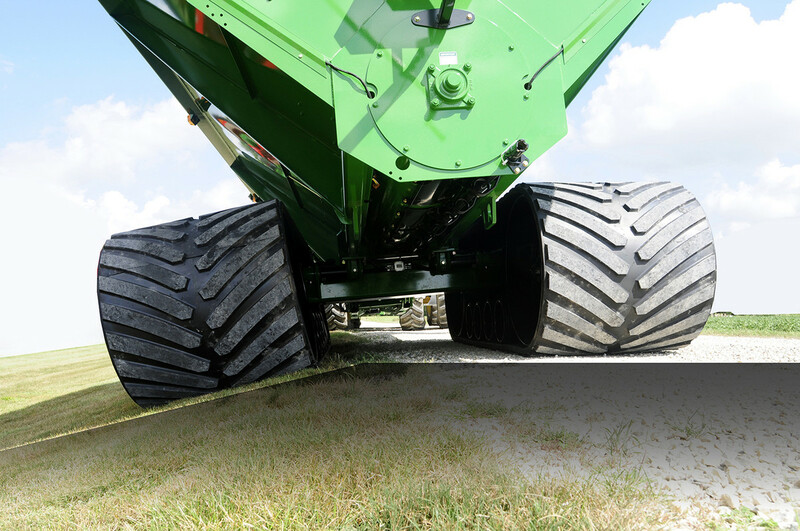 Overall Width - 1250/50x32 Tires - 14'2" 14'2"
Overall Length 34'2" 30'10" 30'10"
Transport Height 12'9" 12'8" 12'2"
Height Loading Side 11'5" 11'4" 10'10"
Auger Unloading Height 15'5" 14'4" 14'4"
Lift Auger Tube Diameter 22" 22" 22"
Floor Auger Tube Diameter 20" 20" 20"